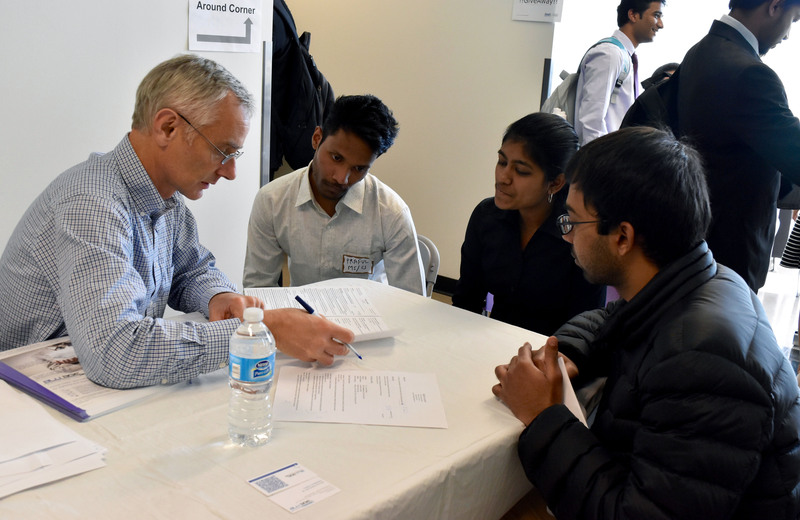 Twice a year the Industrial Practice Programs (IPP) for the Erik Jonsson School of Engineering & Computer Science and the UT Dallas Career Center work together to hold the biannual Intern Fair for UT Dallas Computer Science and Engineering students where companies are invited to recruit students for internship positions. 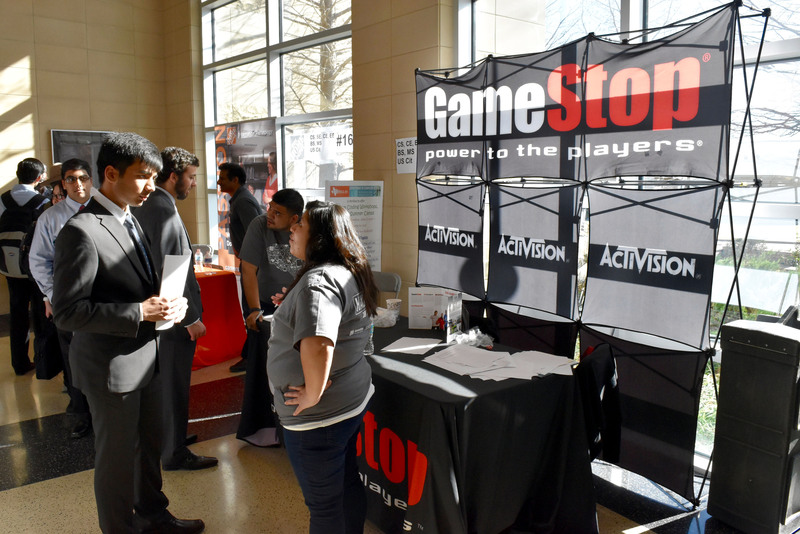 These two groups also work with companies around the country inviting them to come to UT Dallas and the Erik Jonsson School to recruit future employees. 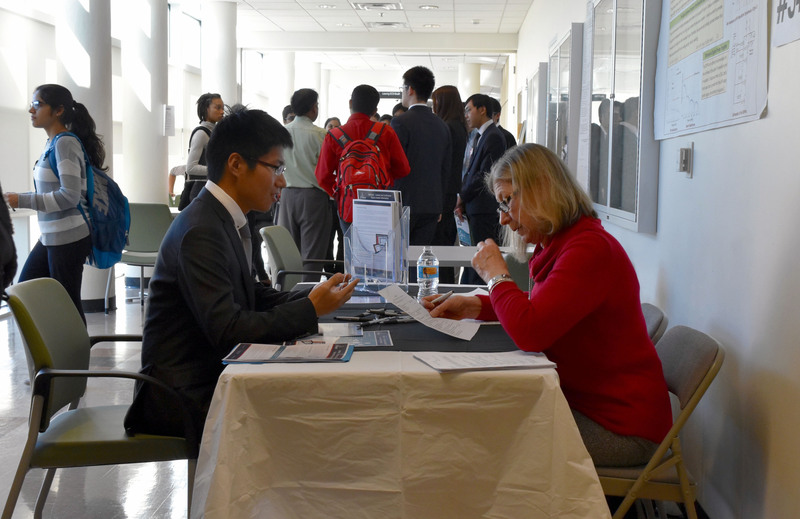 This year’s spring intern fair took place on Friday, January 29th. 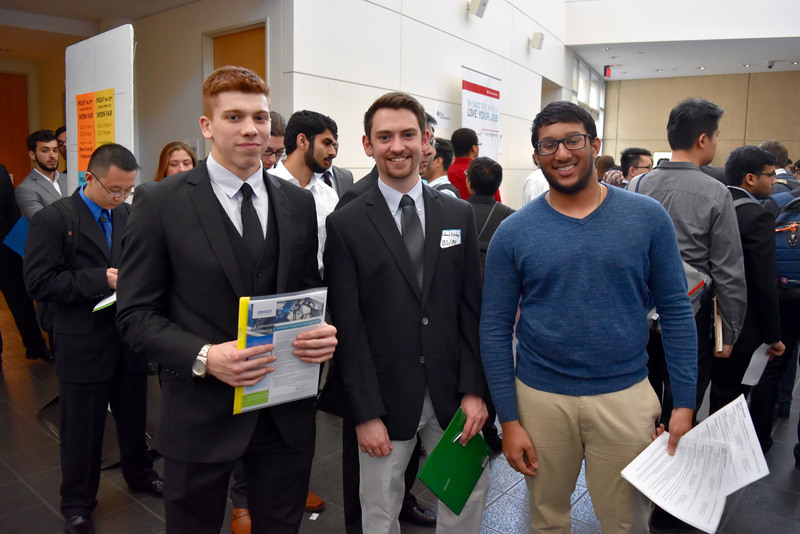 During the intern fair, students were provided with the opportunity to interact with industry employers, submit resumes, receive useful job-search advice from seasoned company recruiters, and further develop their network of industry contacts. 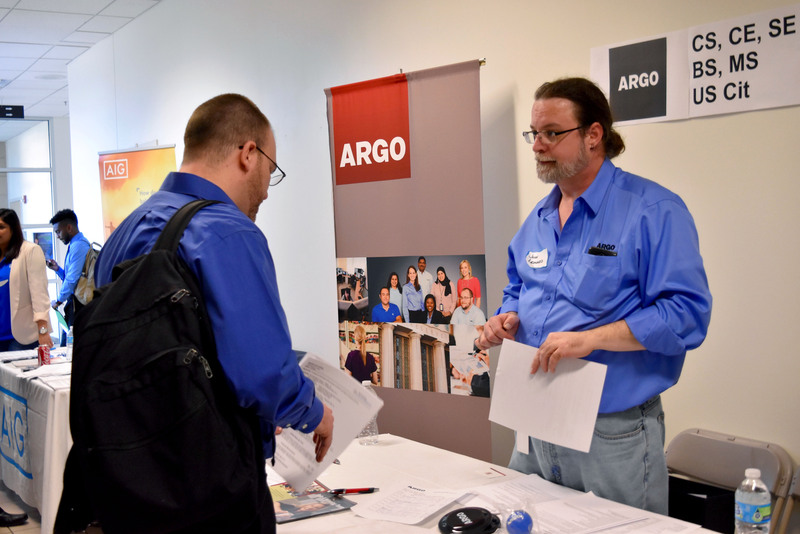 Companies that have participated in these fairs include, but are not limited to, Amazon, Apple Inc., AT&T, Broadcom Ltd., Cisco Systems, Ericsson, FedEx, Fujitsu Network Communications, Google Inc., IBM, Intel, Microsoft, Qualcomm, Raytheon, RIM, Rockwell Collins, Samsung Electronics, Texas Instruments Inc., and USAA. 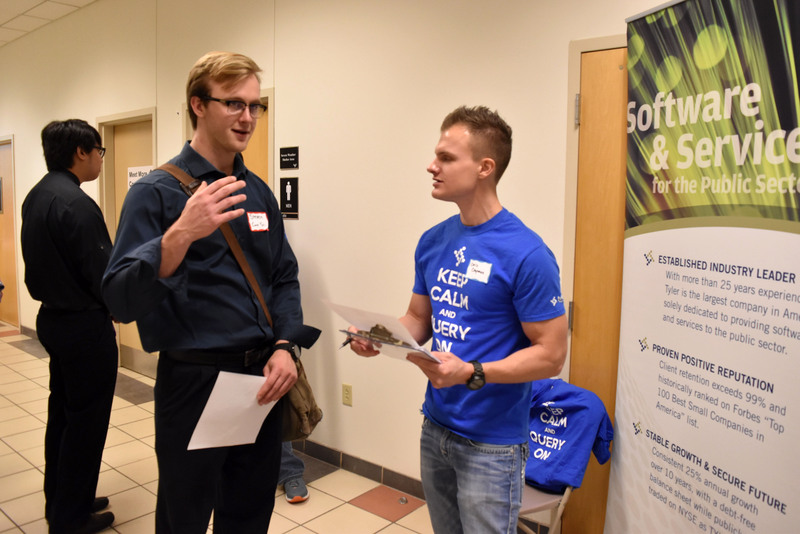 The Erik Jonsson School maintains a full-time internship support program, the Industrial Practice Programs (IPP) office, which works on building rapport with various software and IT companies. 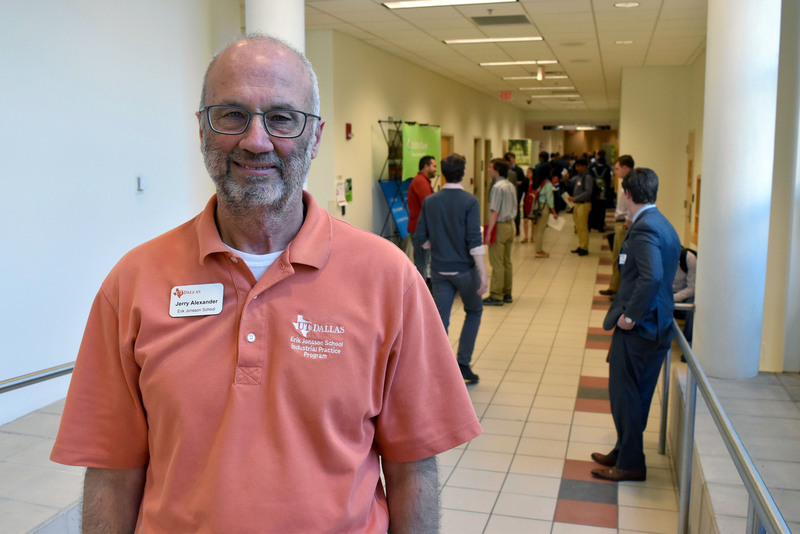 Mr. Jerry Alexander, Director of the Industrial Practice Programs (Intern and Co-op), maintains a strong and active LinkedIn account through which he keeps in close contact with UT Dallas’ alumni and members of the tech industry. 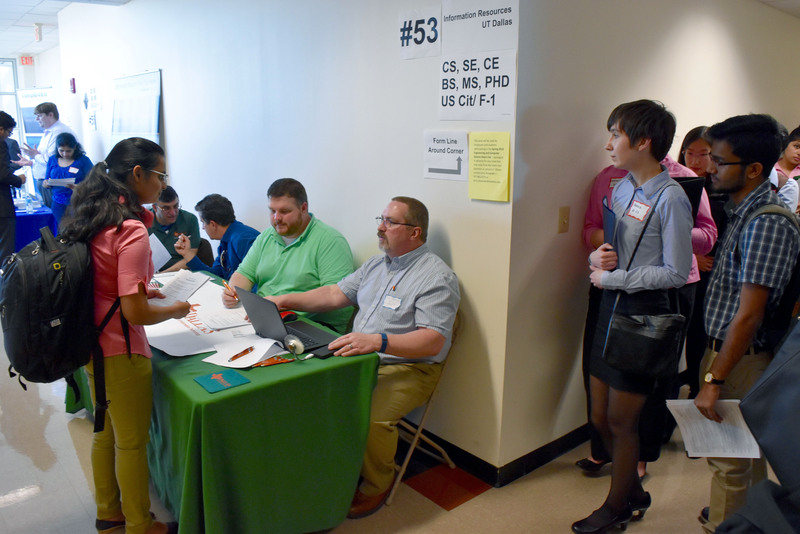 Thanks to the efforts of this office and the high quality education provided by the CS faculty to the students, the number of internships gained by the CS Department students has been increasing by leaps and bounds (Table 1 & 2 below). 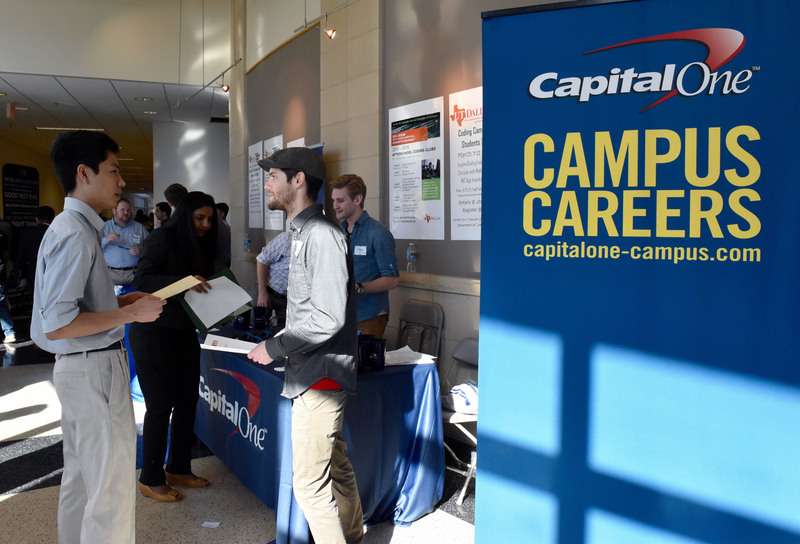 In fact, today, any Computer Science or Software Engineering student who wants an internship is able to find one with a high degree of success. 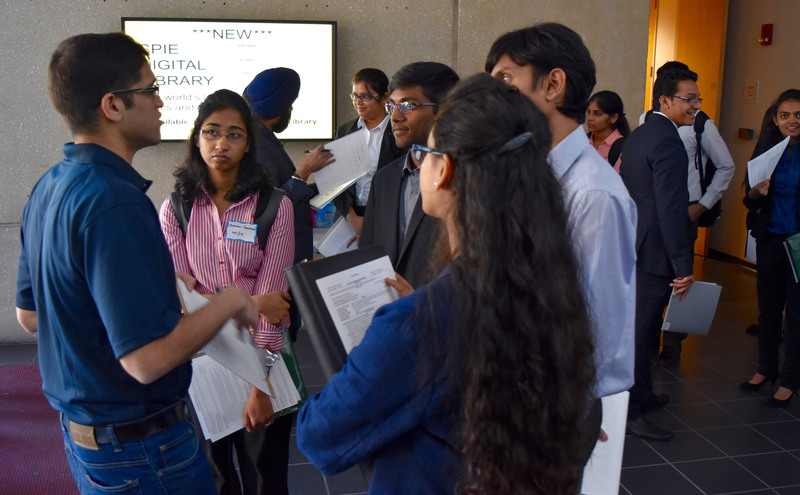 The IPP provides internship opportunities to qualified students to enhance student learning through the application of theory to practical problems in an engineering or computer science environment. 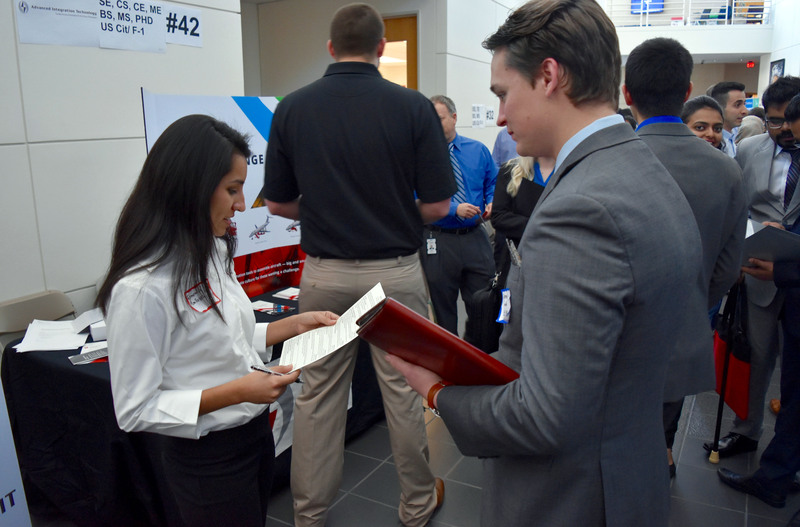 Through this process, students improve skills in human relations, self-discipline, teamwork, and communications while also developing beneficial technical expertise and experience which commonly is required for future, entry-level job searches. 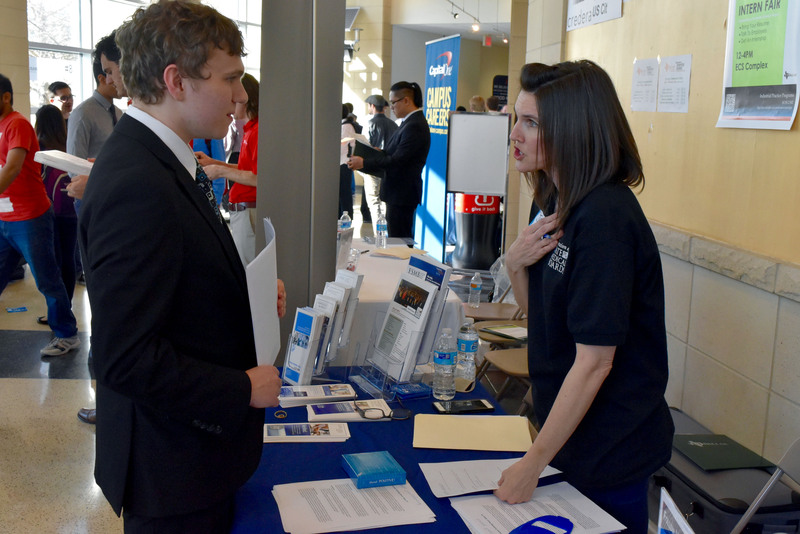 Other benefits of obtaining an internship include networking opportunities with practicing professionals, industry experience, and the opportunity to earn income while learning. 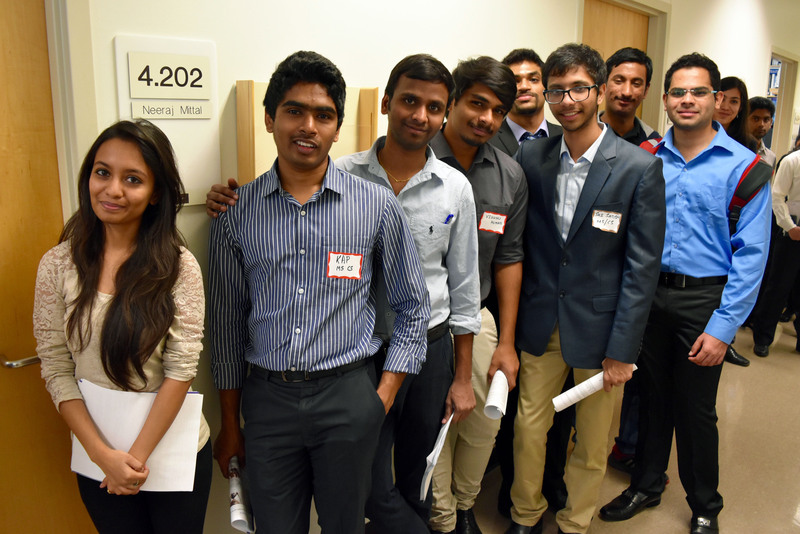 “The internship program is very beneficial to students. Not only it allows them to earn money to offset the cost of their education, frequently it leads to a full-time job offer after graduation. 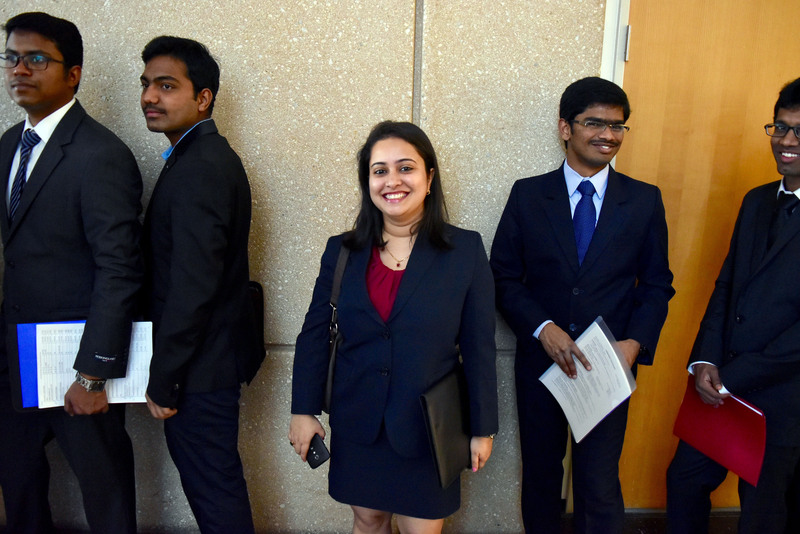 In many instances, students return from their internship assignment with a full-time job offer in hand with a starting date that is six months or even one year away” said Professor Gopal Gupta, Professor and Department Head o f Computer Science. 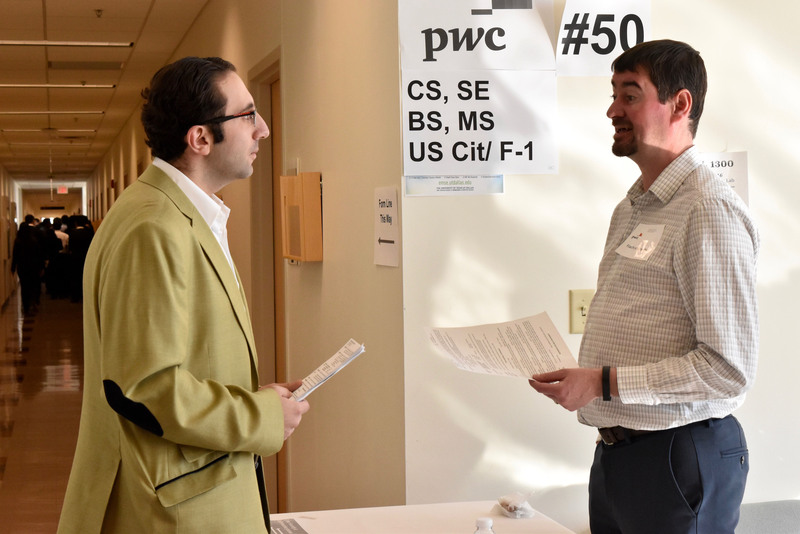 “The internship program is also great for companies as it allows them to try out a student and judge their suitability for full-time employment. 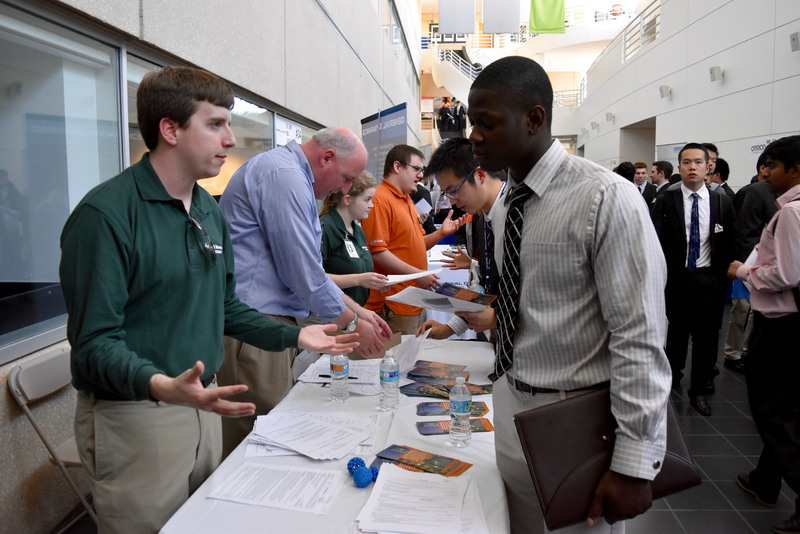 Even if an internship does not result in a job offer, students gain valuable industrial experience. 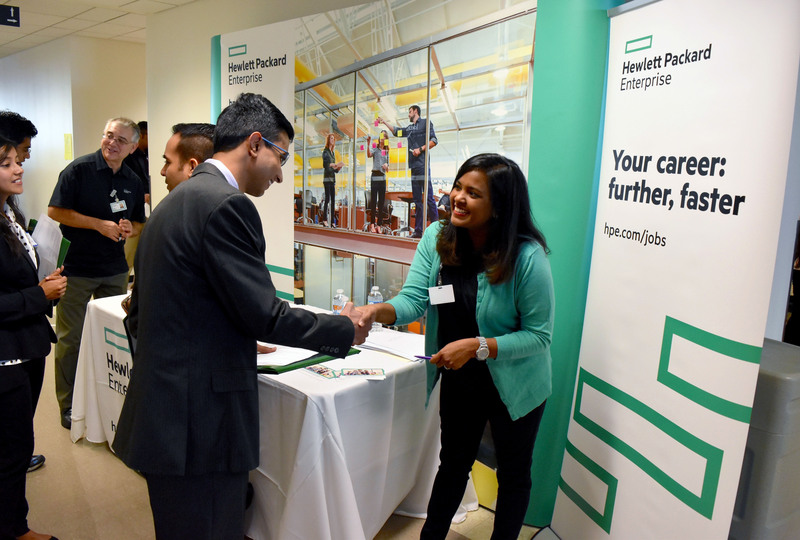 Thus, from every perspective, the internship program creates a win-win situation,” he added. 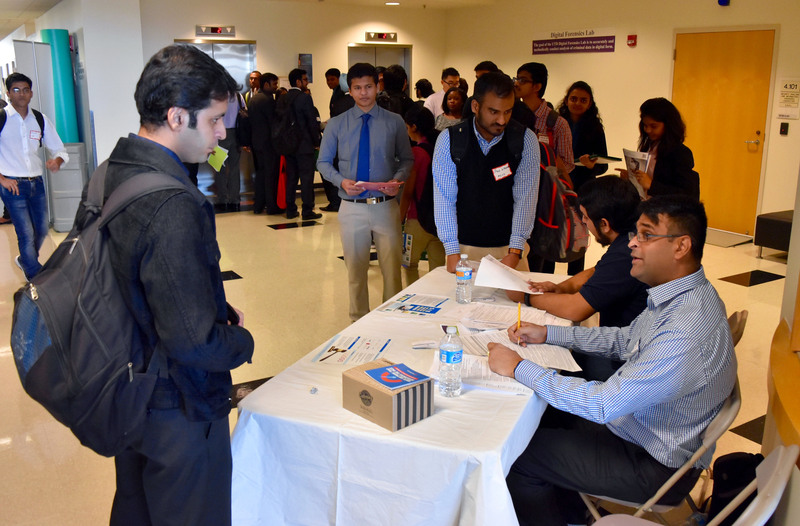 A good example of such a success story is Mr. Mahesh Venkateswaran, a 2nd year Master’s student in Computer Science, who joined the CS Department in the fall of 2014. 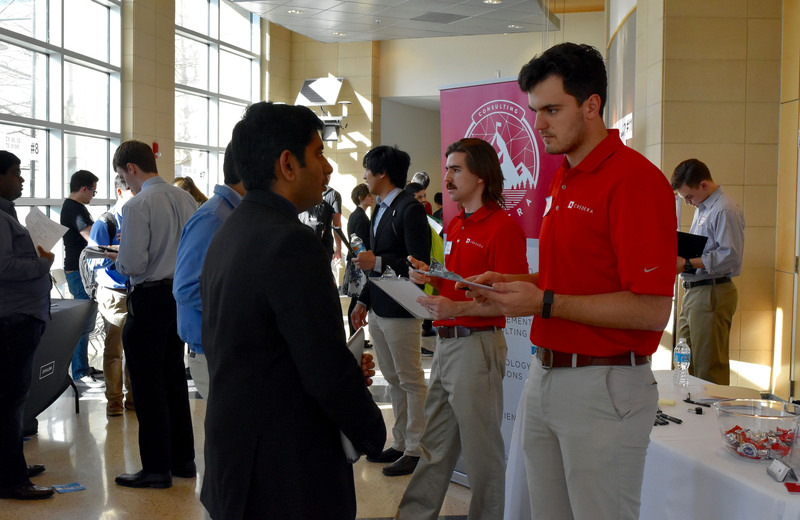 Mr. Venkateswaran received an internship offer from Amazon in the summer of 2015. Soon after he returned from his internship, Amazon made him an offer to join the company as a full-time employee in June of 2016, after his graduation. Mr. Venkateswaran was thrilled. 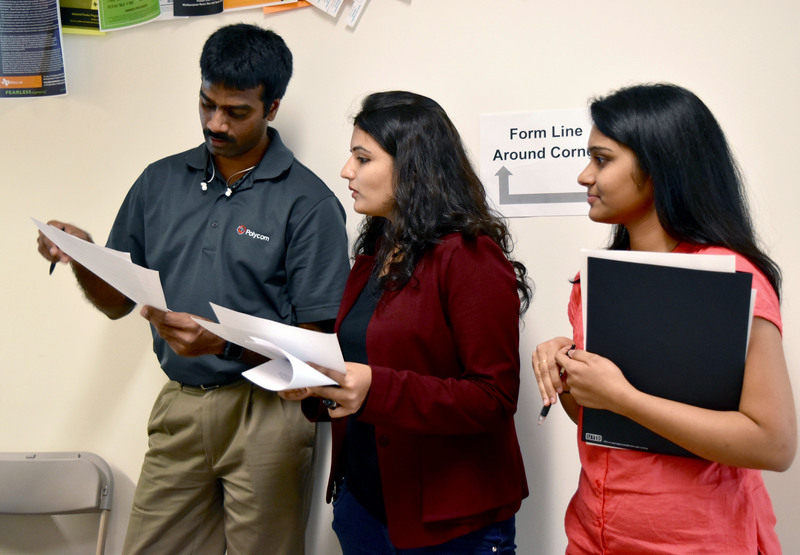 When asked about the factors that contributed to his success, Mr. Venkateswaran attributed it to a strong preparation in data-structures and algorithms that he received in his first year of MS education at the UT Dallas Computer Science Department. 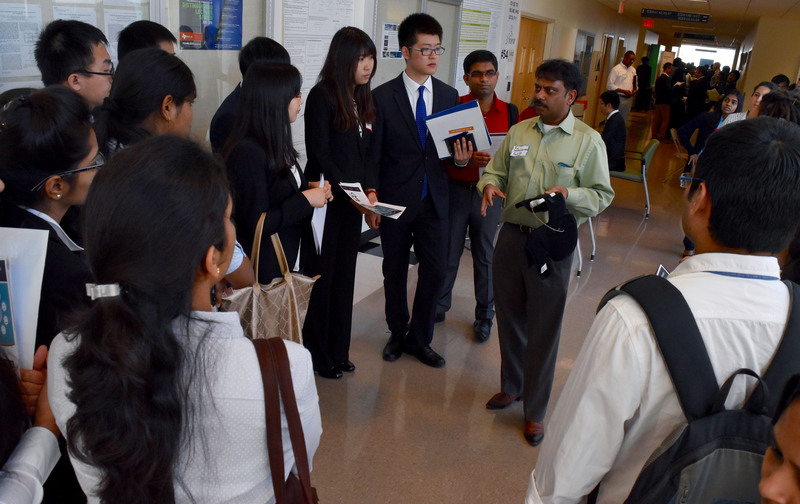 “The rigor of the MS CS program and high quality computer science faculty are the factors that attracted me to UT Dallas in the first place, and now that has helped me in obtaining a full-time job offer,” said Mr. Venkateswaran. Professor Shyam Karrah, Senior Lecturer and Director of the Computer Science Graduate Program noted that the story of Mr. Venkateswaran is not atypical. 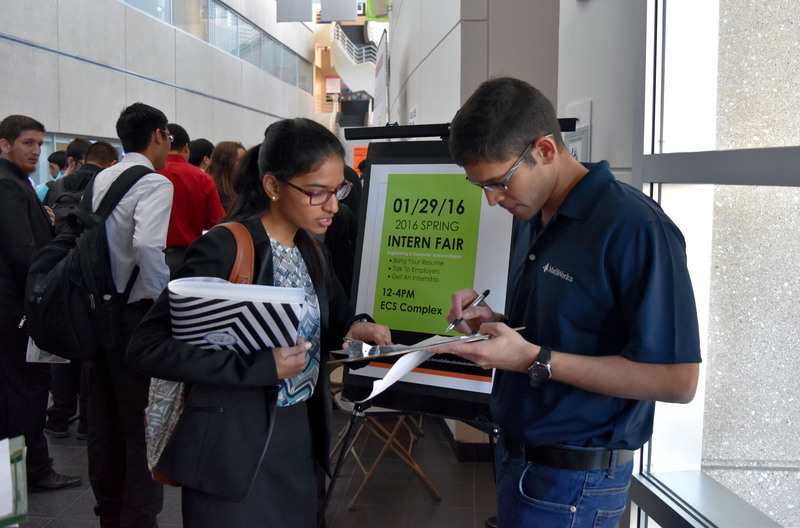 “The number of UT Dallas CS students receiving such offers from Amazon alone is in double digits,” he stated. 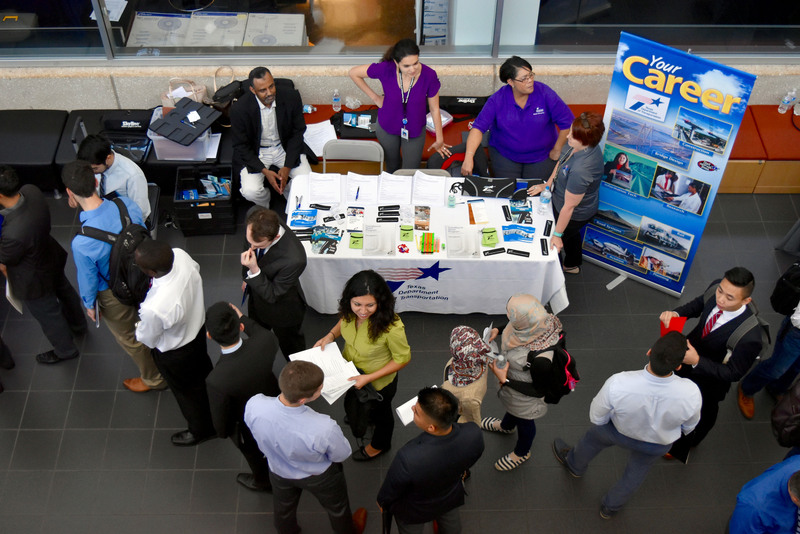 “The other day four graduate students came to see me, all of whom had interned for FedEx in Dallas; all four of them received full-time job offers at the end of their respective internship,” added Professor Karrah. 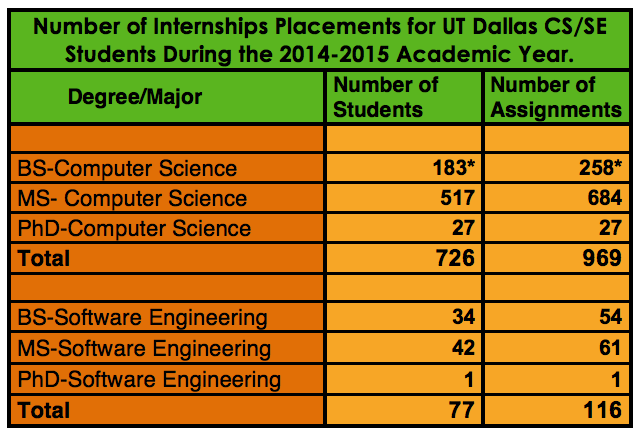 Availability of a large number of internships is one of the many reasons why CS/SE MS students are attracted to the UT Dallas Computer Science Department. 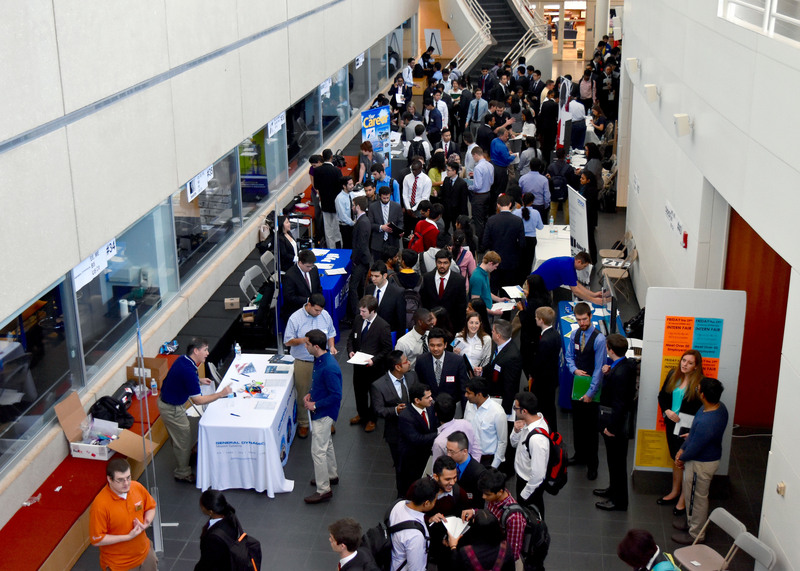 The UT Dallas CS Department assists a large number of undergraduate and graduate students in obtaining internships. 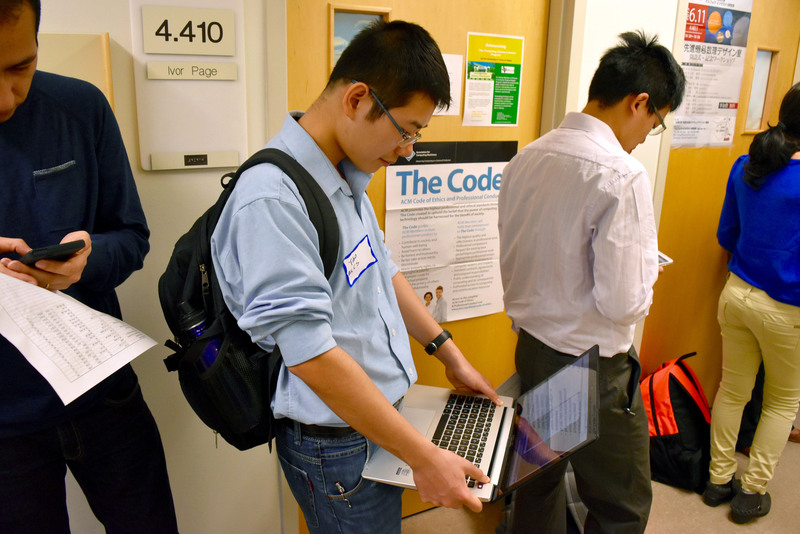 During the 2014-2015 year academic year, approximately 803 computer science and software engineering students had a total of 1,085 internship assignments. 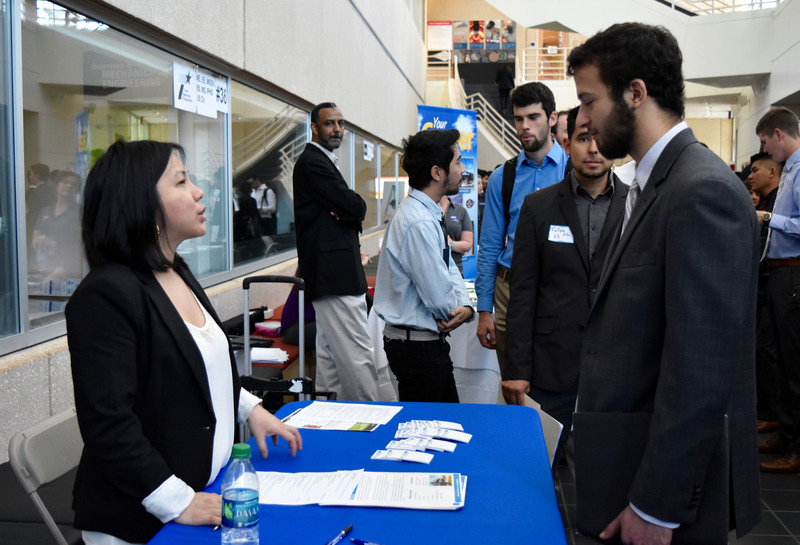 Some of the most popular companies at which students take up internships include, Amazon, Avaya, BNSF Railways, Cisco Systems, Copart Inc., Ericsson, Facebook, Google, HP, IBM, Information Processing Corporation, Intel, InterDigital Communications Inc., MathWorks, Microsoft, Research In Motion, Sabre, VMWare, and Yahoo. 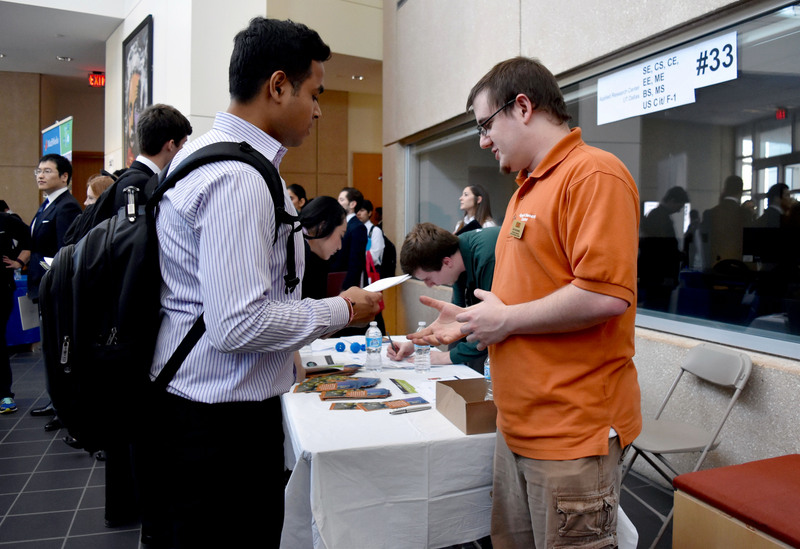 The UT Dallas Computer Science department has a strong track record of connecting graduate and undergraduate students to tech companies for internship positions. 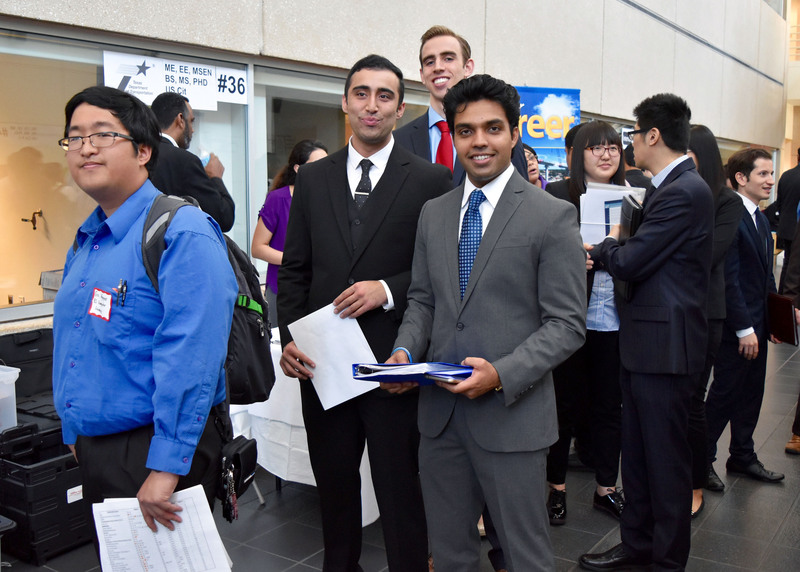 Upon graduation, UT Dallas CS/SE graduates gain employment in companies such as Amazon, AT&T, eBay, Ericsson, Facebook, Fujitsu Network Communications, Google, IBM, Intel, JPMorgan Chase, Microsoft, QualComm, Raytheon, Sabre, Samsung, Santander Consumer USA, Tyler Technologies, Verizon Wireless, and Yahoo. 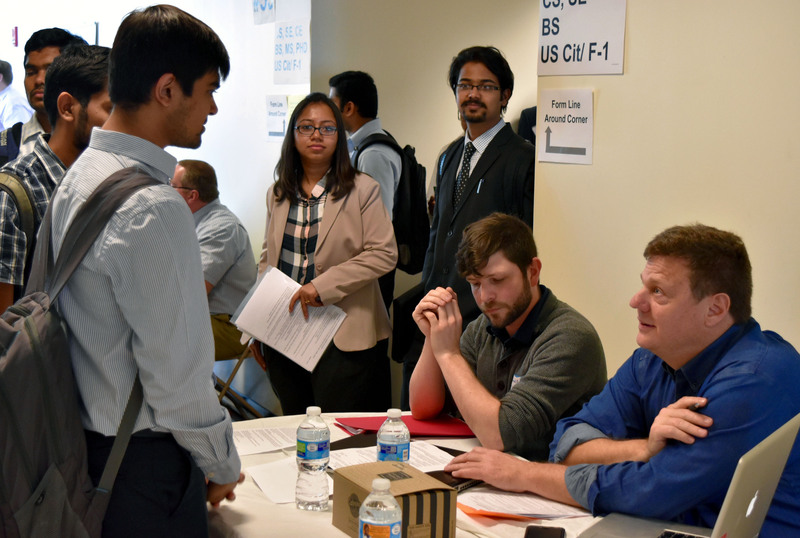 Director of the Industrial Practice Programs (Intern and Co-op), Jerry Alexander notes, “the quality of the students in the UT Dallas Computer Science program attract a wide range of employers, which is an integral part of the recruitment strategy within the IPP. 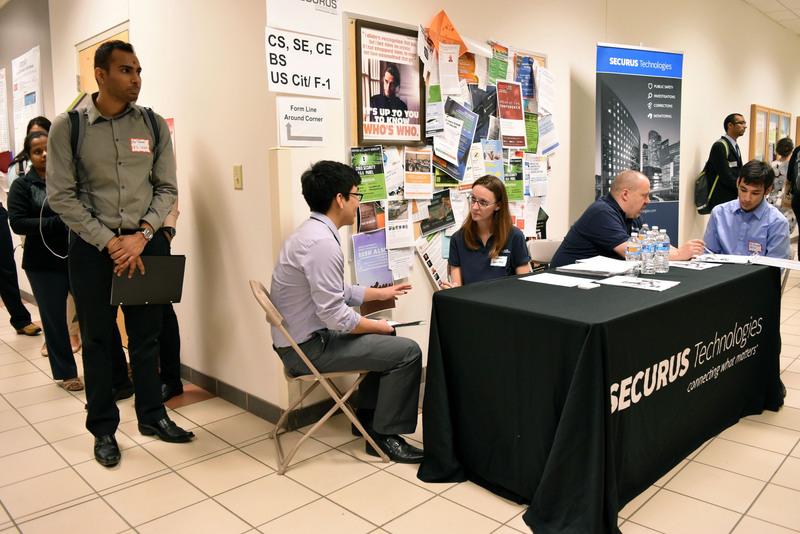 As graduting UT Dallas CS/SE students go to work for new companies, their employers recognize the superior ability in their work and their knowledge within their profession. 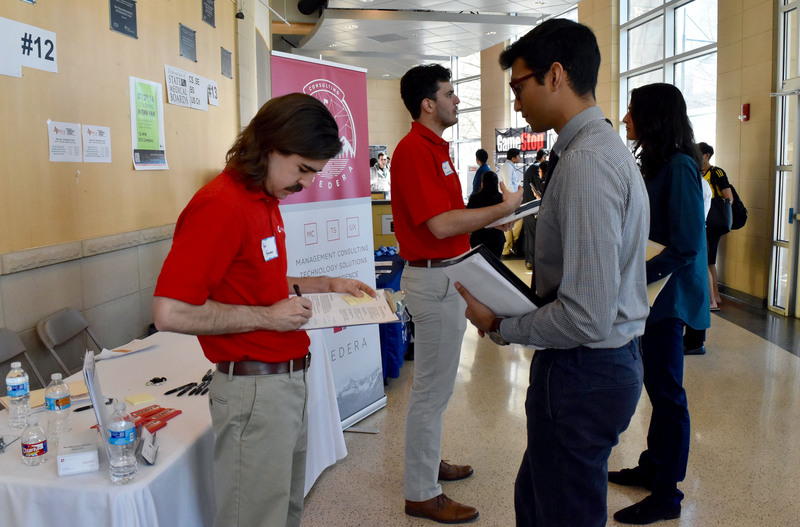 Not only does the IPP do ongoing outreach with events like the intern fair, but the quality of our graduated students brings their employers coming to UT Dallas looking for skilled CS/SE students to both intern and hire upon graduation. *Note that only a fraction of BS students report their internship information to the University; the actual number of undergraduate internships is much higher.  Click here to visit the Industrial Practice Programs (IPP) website. Click here to visit the IPP’s Facebook page. 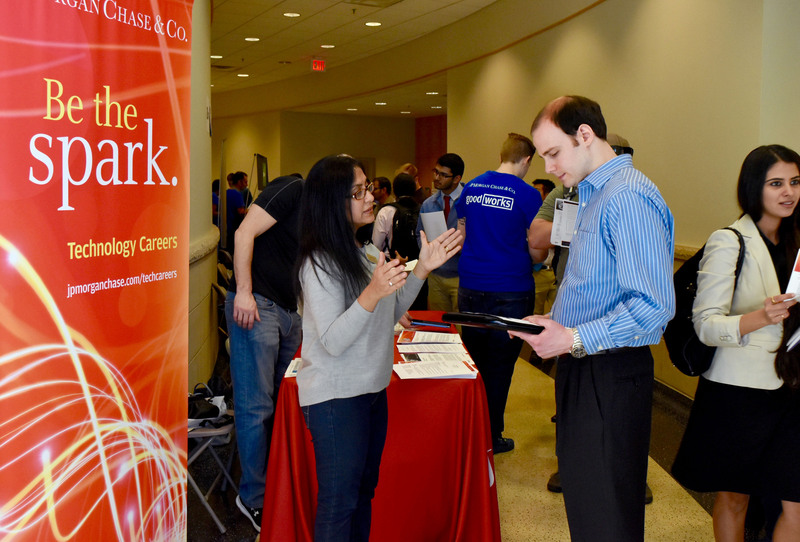 Please click here to view additional photos from the Spring 2016 Intern Fair, Click here for photos from the Fall 2015 Intern Fair & click here to see photos from past UT Dallas CS related events.